Aroma: Cooked agave, mint, peppermint, butterflakes. Flavor: Delicate fruit and floral tones balanced. Color: Double distilled, luminous, golden amber color with orange flashes and large body. 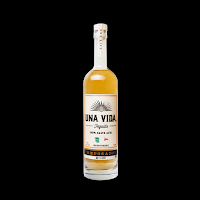 Aroma: Gentle aromas of cooked agave, herbal nuances, cherry caramelized tones, balanced between the aromas developed in the distillation and those of the barrel. Maturation: 6 months in white oak barrels. Color: Double distilled, intense color and shades of copper. Aroma: Aromatic tones cooked, herbal nuances, vanilla and caramel aromas, from their aging in barrels. Flavor: Silky and intense, with a sweet finish. Maturation: 18 months in white oak barrels.